The challenge comes in defining optimal levels of performance. In delivery of government services, the difficulties of identifying the right performance targets are exacerbated because the population served through a program can be constantly in flux. For instance, on any given day people get sick, lose jobs, have babies and experience any number of life events that put them in a position where they need to interact with government. Even if a program successfully met the needs of 100 percent of the individuals who required its support today, there will be a new group of individuals in need of its services tomorrow. How can government managers set the right performance targets and work toward attainment of optimal levels of performance? First, managers need to review the mission or purpose of the organization or program. What was this organization or program created to accomplish? Second, managers must begin to translate accomplishment into quantifiable outcomes-based metrics. If the organization or program were to accomplish its mission, what would that look like? How would the organization quantify that? A manager might look at target metrics from industries that provide similar services or whose services require the execution of similar activities (e.g., customer service functions) as inputs. The resulting metrics become the desired end state. Third, managers need to use data to understand the current state in relation to the desired end state. What is the current level of performance against each key metric? The manager would want to consider how the service is currently and has been resourced in the past as that could impact delivery times as well as error rates. In setting good targets, managers need to balance delivery times with the cost and quality of the service. The manager would compare past data to the desired end state for context and make smart decisions about the trade-offs required to meet the target. At this point, the manager might refine his or her desired end state to support the right balance between time, quality levels and cost. This becomes the optimal level of performance. Finally, managers can build a set of benchmark targets for specific periods that drive the organization or program to close the gap and progress toward the goal of optimal performance. This is the process outlined in it simplest form. Once an initial set of performance targets and benchmark targets for key measures have been set, it is important to consider the cost of goal attainment and to weigh the costs and benefits against achieving optimal performance in other parts of an organization or mission areas. Then, performance and benchmark targets may need to be adjusted to align to priorities (e.g., extending the period required for goal attainment if optimal performance in a certain mission area is a lower priority). Performance targets are an essential and sometimes overlooked element of a good performance management strategy. 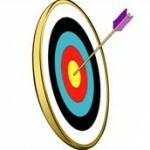 If you don’t know what you are aiming for, how will you know how close you are to hitting the mark? This seems obvious. But often because data collection within the government begins with ad hoc requests, targets when set, are developed without context or real consideration to the levels of performance that are actually desired.